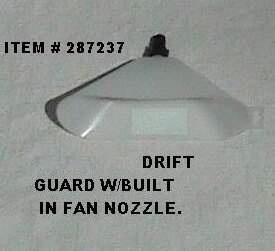 This is a plastic Drift Guard which is used at the end of your wand replacing your current nozzle. This device features a fan pattern nozzle built in so you are able to control your applications and target specific spots as needed. This is a great tool for use when it’s windy and you need to avoid drift or when you need to isolate the target plant or object.